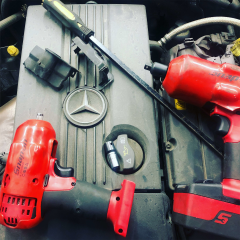 With over 15 years in the trade - our mechanics are fully qualified to work on all makes and models with the latest diagnostics machines. With a garage and adjoining tyre shop we cater for all repairs. Great mechanic. Identified the problem immediately and was prompt to fix. Very good lad, was chatty and made me aware of all that was happening and had been done. Great knowledge and great service. Your very welcome, pleasure to deal with and very friendly. Thank you.